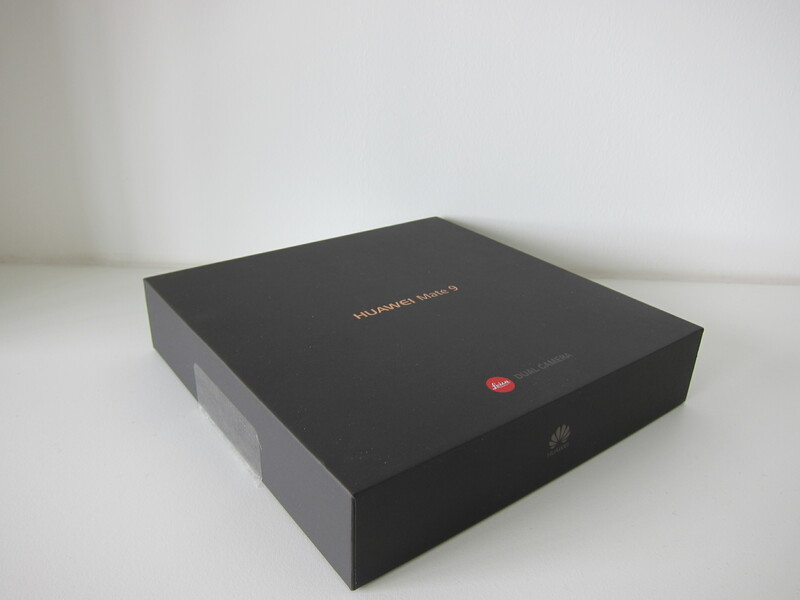 The packaging contents of Mate 9 is pretty standard among most mobile phones. 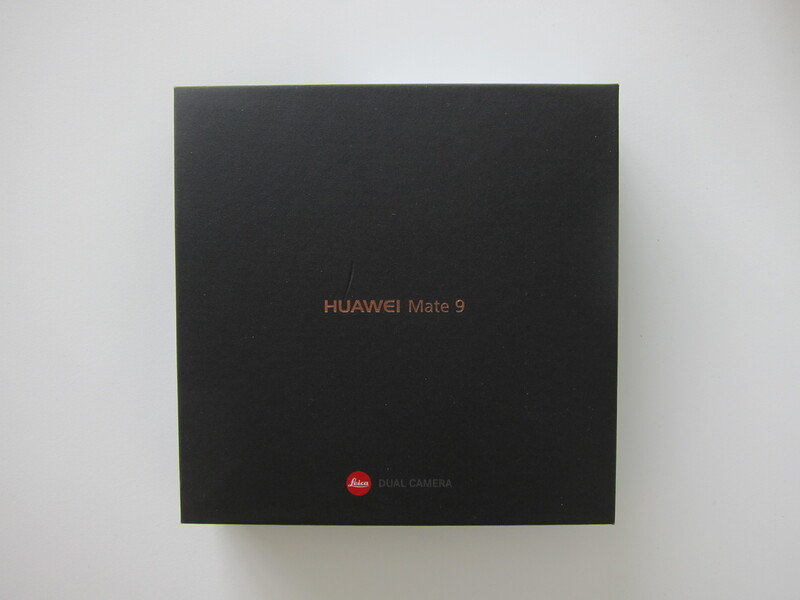 It comes with Mate 9 itself, Mate 9 cover, earphones, USB Type-C to USB Type-A (normal USB) charging cable, Huawei SuperCharge charger, Micro-USB to USB Type-C adapter, quick start guide and SIM eject tool. 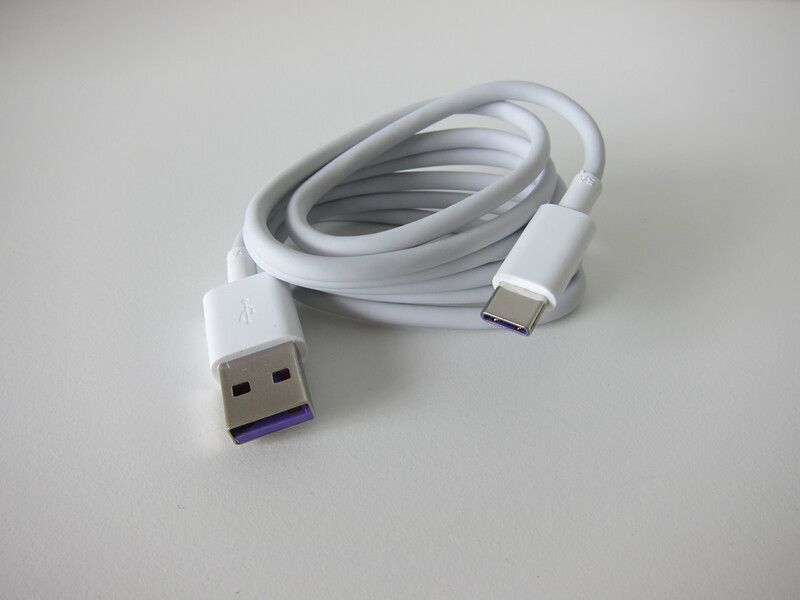 The only two things that is worth noting is that they included a cover and a Micro-USB to USB Type-C adapter. 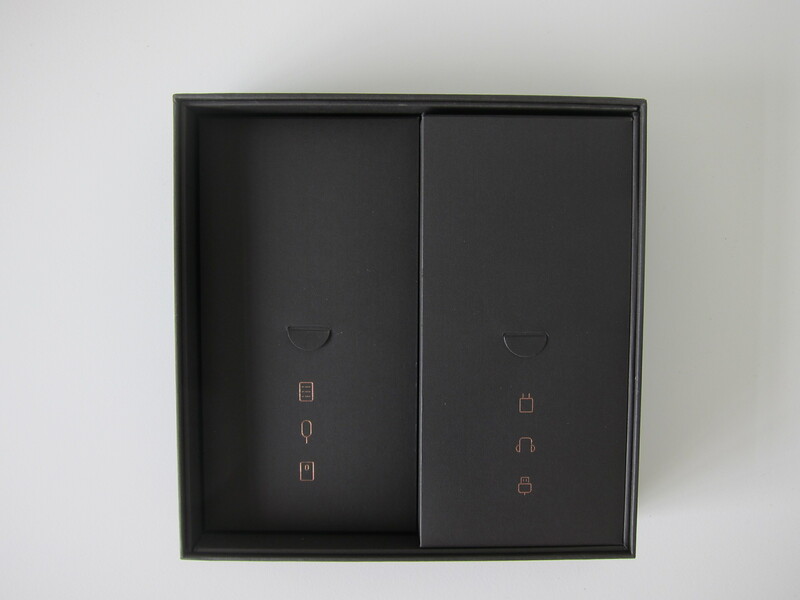 The color of the cover you get depends on what on your Mate 9 color. 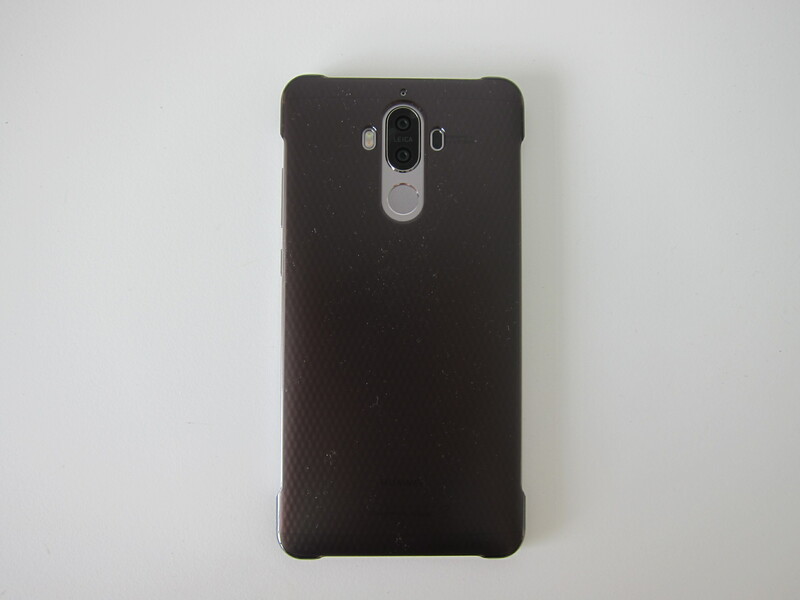 If you are on Champagne Gold, you will get a clear cover. 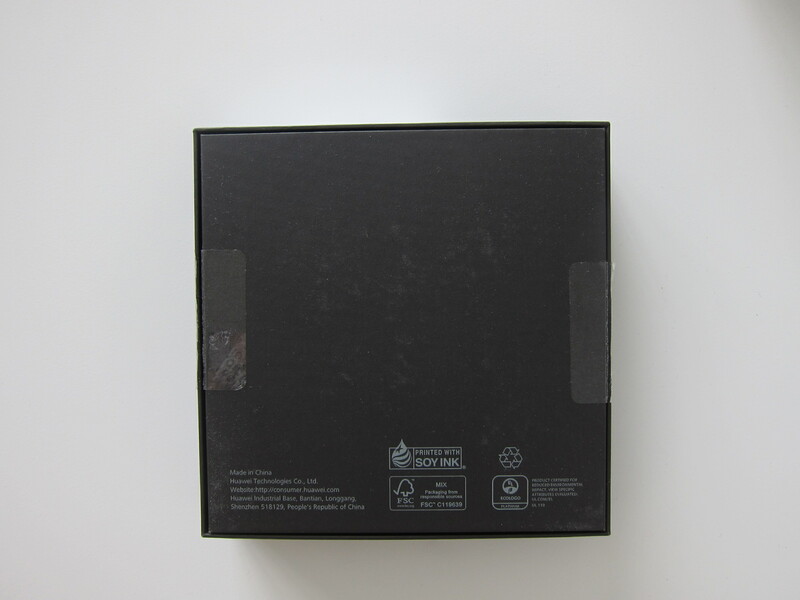 If you are like me and gotten Space Gray, the cover color is clear brown. 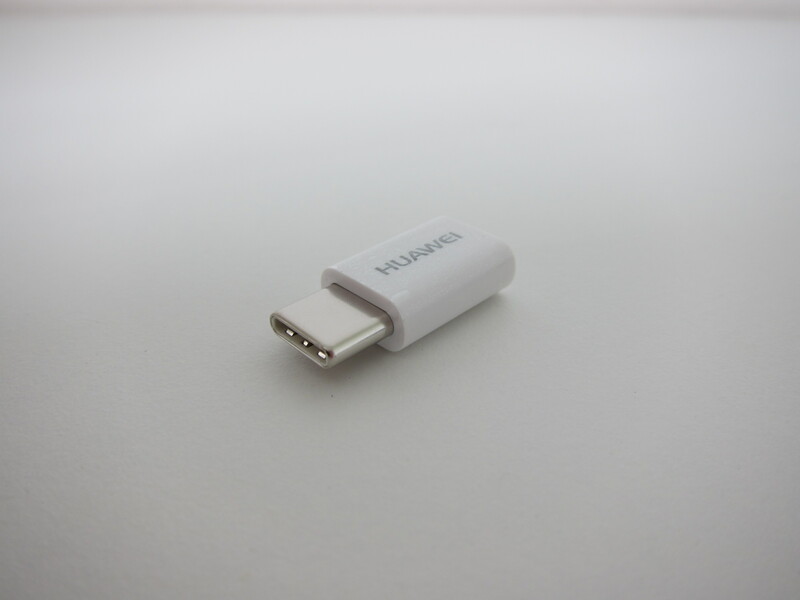 The Huawei SuperCharge is Huawei’s version of the Fast Charge. 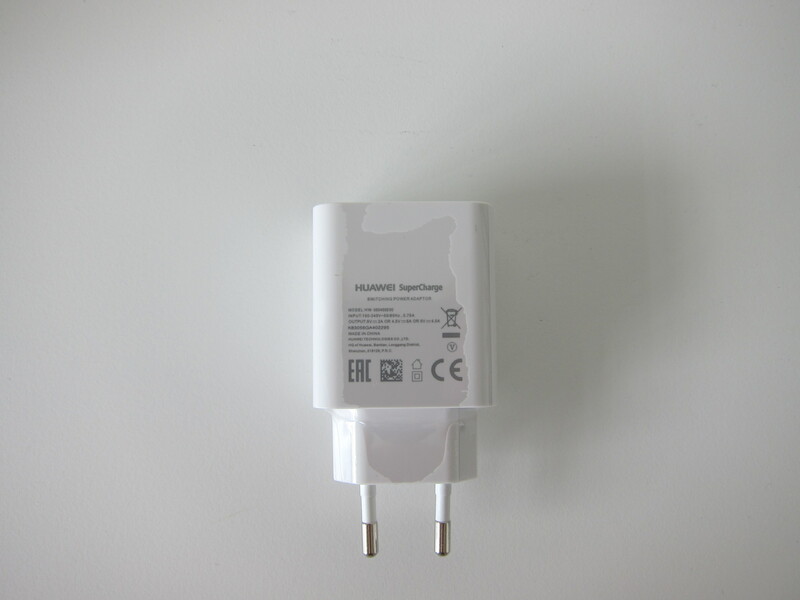 Fast charging works by allowing your mobile phone to negotiate a different voltage with the charger and thus providing higher ampere (more power). For example, with the default 5V, it outputs 2A. But if you decrease the voltage by 0.5V, 4.5V will outputs 5A. Despite having a 5.9″ full HD screen, the size of the phone is almost the same as the iPhone 7 Plus which is on a 5.5″ screen. 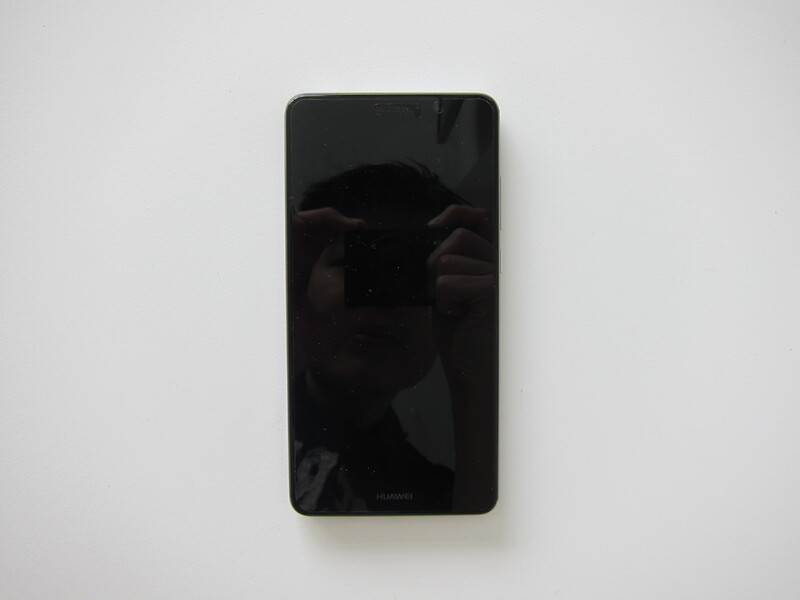 That makes the screen of the Mate 9 almost bezel-less. 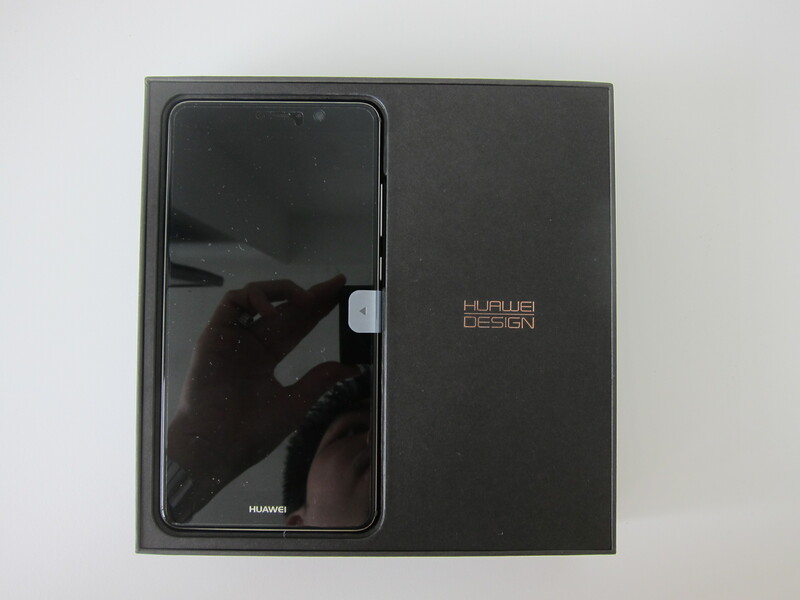 Not as close as Xiaomi’s Mi Mix, but good enough. 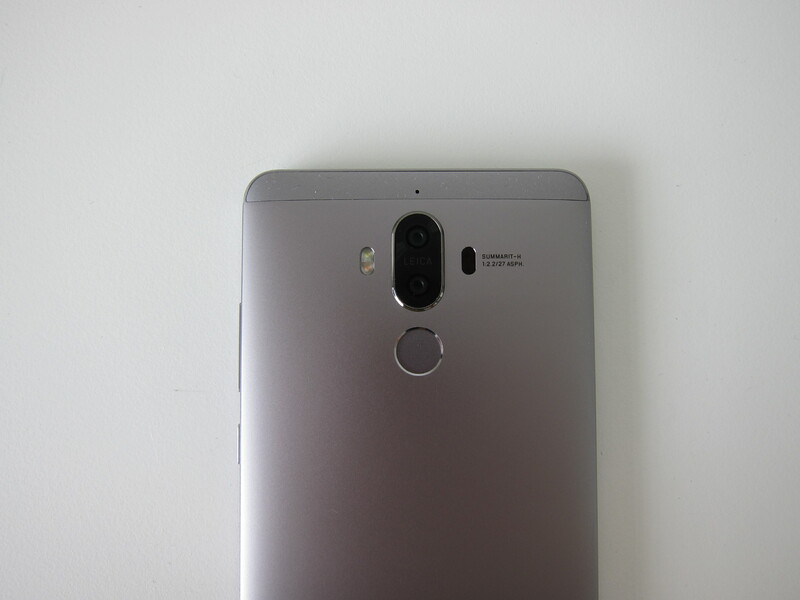 The Mate 9 measures 156.9mm x 78.9mm x 7.9mm while the iPhone 7 Plus measures 158.2mm x 77.9mm x 7.3mm. 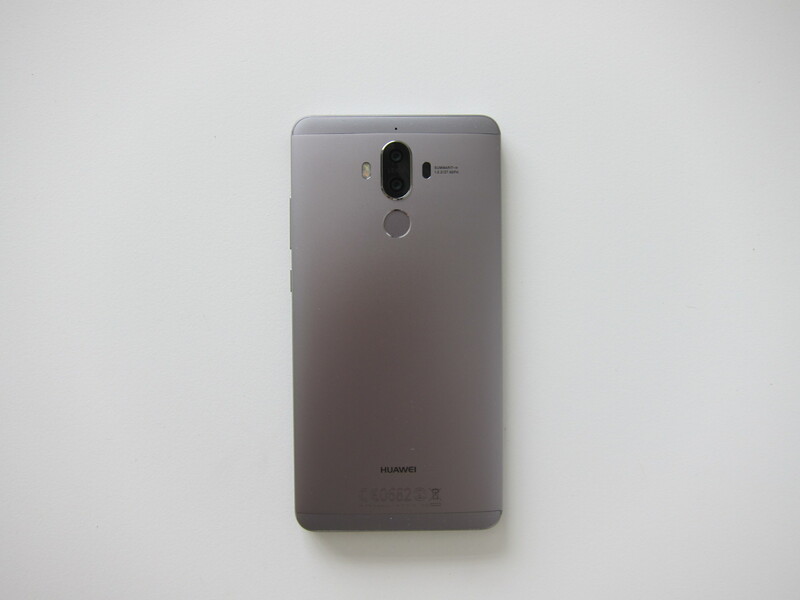 In terms of weight, the Mate 9 weighs 190g while the iPhone 7 Plus weighs 188g. 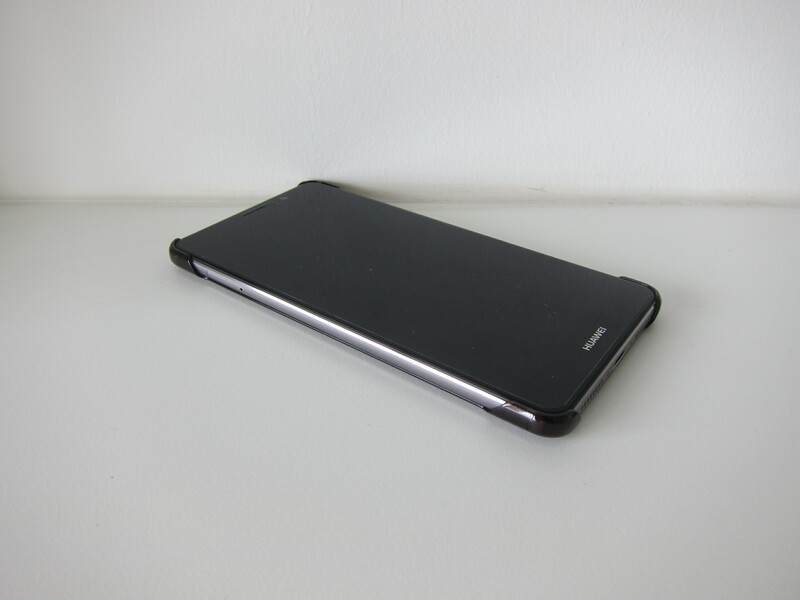 The back of the phone is curved which makes it ergonomically fitting in your hands. The back also houses two Leica camera, the 20MP monochrome camera and the 12MP RGB camera. The monochrome camera is the bottom camera while the RGB is the top camera. To the left of the camera is the dual-tone dual-LED flash and on the right it is the laser focusing. The fingerprint sensor is located below the camera which is similar to most Android phones including the Nexus 6P and Google Pixel. I find the fingerprint sensor too small for my index fingers but it still works perfectly. The Nexus 6P has a larger fingerprint sensor. I believe the Google Pixel/Pixel XL as well. 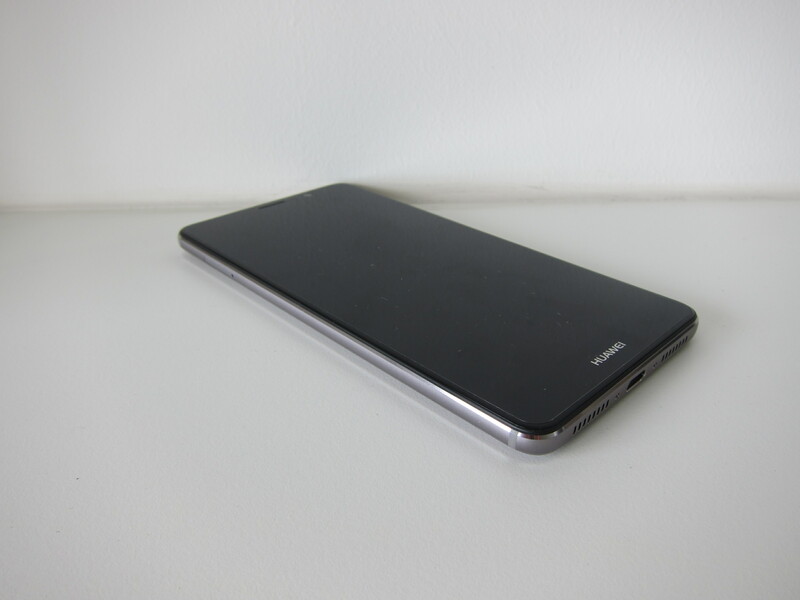 The Mate 9 comes with a IR blaster and it is located at the top of the phone. You can use it to control almost any IR devices like televisions and air conditioners. 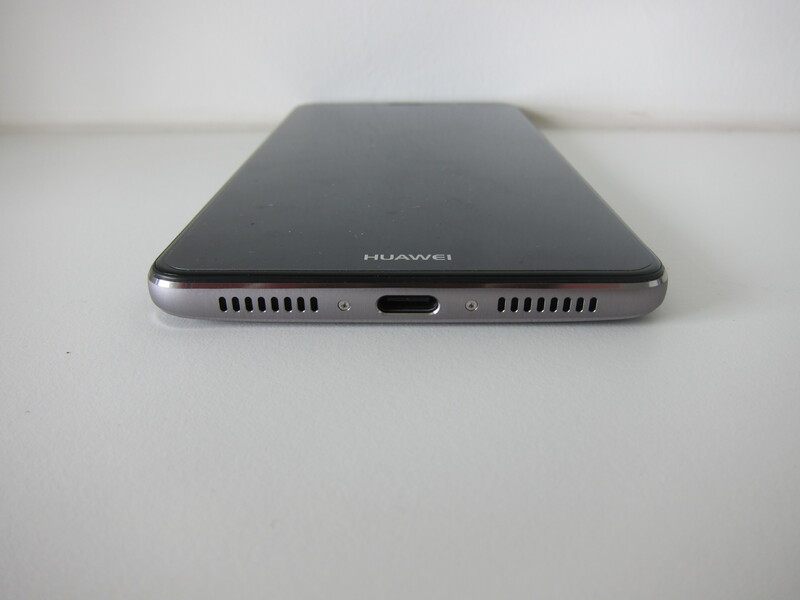 The 3.5mm audio port is also located at the top. The left is the IR blaster and the right is the 3.5mm audio port. 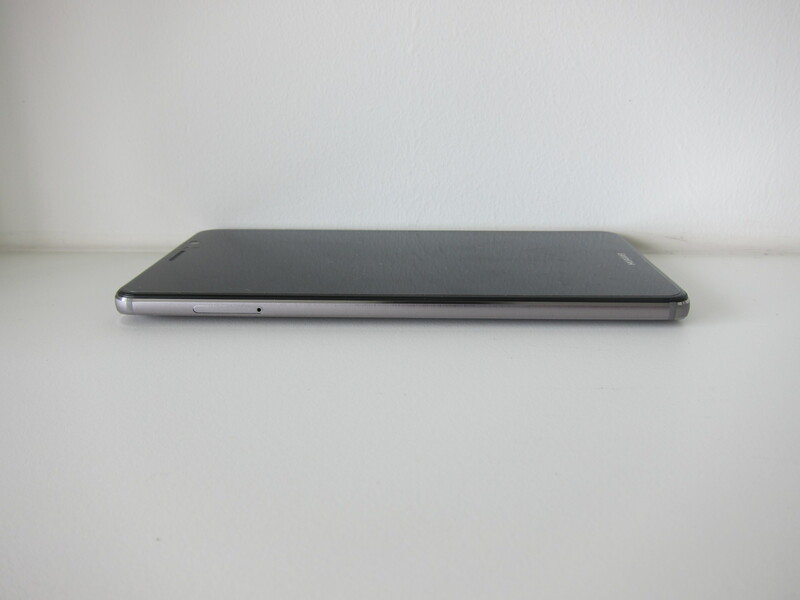 The Mate 9 uses USB Type-C, similar to most high end Android phones in the market these days. 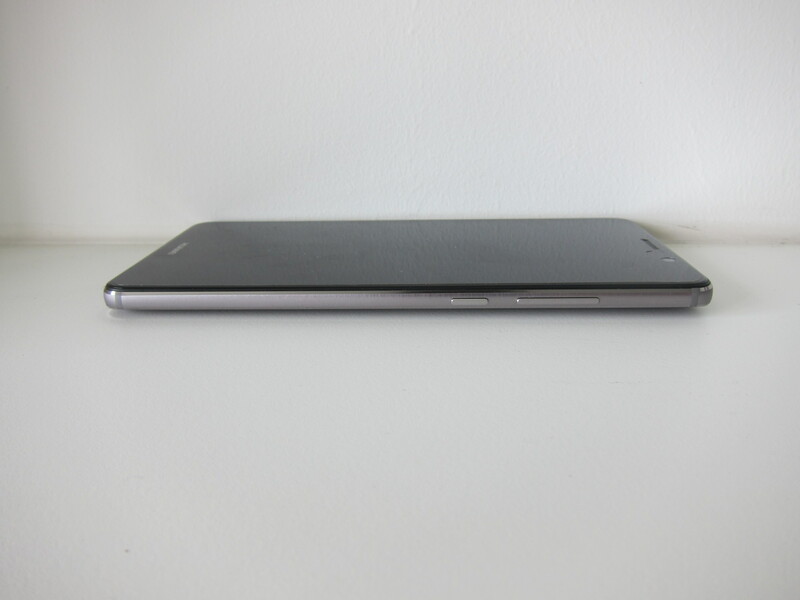 It has a 4,000mAh battery that will last you for about 2 days with normal usage. Because it supports Huawei SuperCharge, a quick 20 minutes charge is enough to last you a full day. Similar to the iPhone, the bottom left side of the phone does nothing and the bottom right side of the phone is a speaker. The Mate 9 comes with stereo speakers. 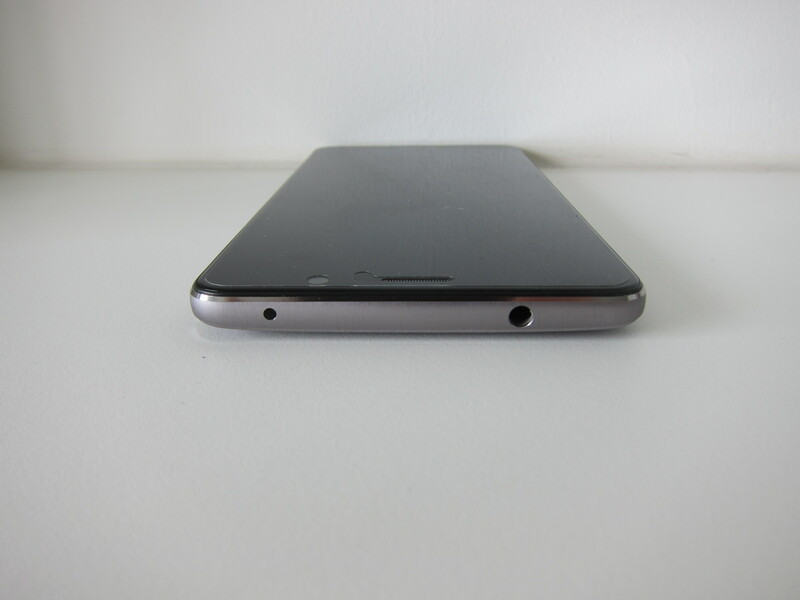 Again, similar to iPhone 7/7 Plus, The bottom of the phone is the right channel and the top of the phone is the left channel. On the left of the phone, it houses the SIM tray. 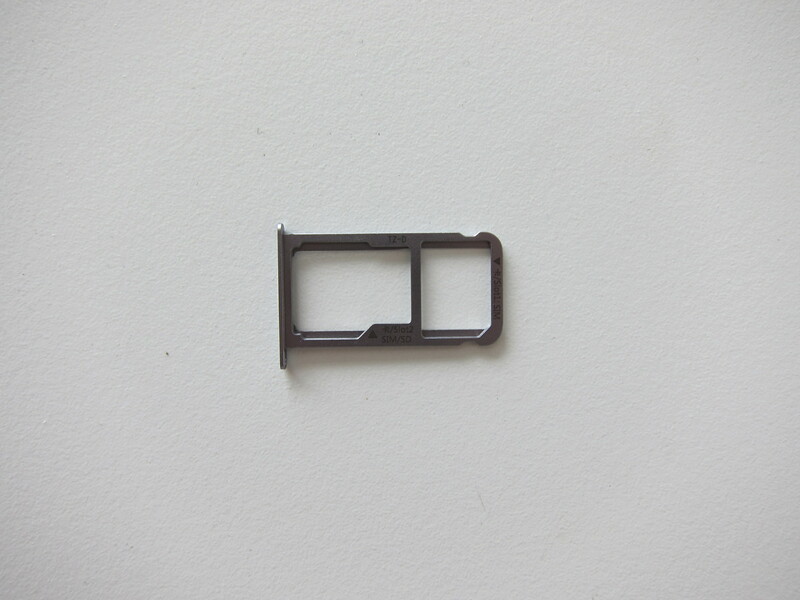 It supports dual Nano-SIM or a Nano-SIM with a microSD card. Stay tuned for the next post about my usage, the camera and EMUI 5.0, the UI behind the Mate 9. 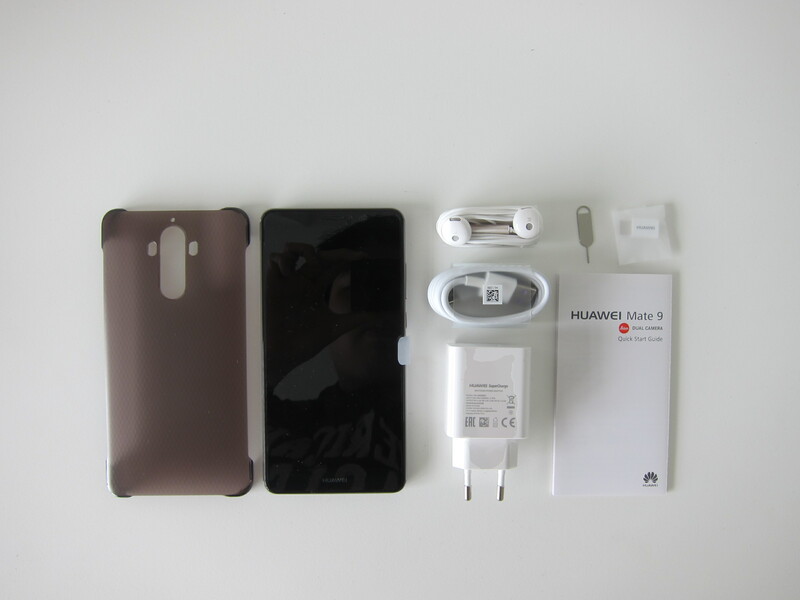 Checkout my review of Huawei Mate 9. This page is generated on 20th April 2019, 12:31:04 (UTC) in 0.258s with 23 queries using 2.0 MiB of memory.